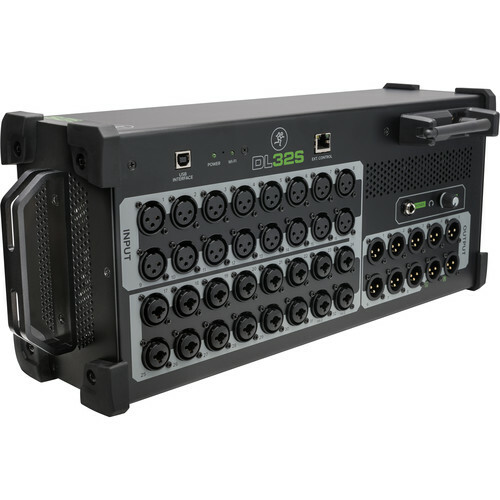 The Mackie DL32S 32-channel wireless digital live sound mixeer with built in WI-FI for multi-platform control delivers proven mixing power with legendary Onyx+ mic preamps in an all-new Built-Like-A-Tank™, stage-friendly design made to withstand real-world ab2083e. Get mixing quickly with built-in Wi-Fi and the ind2083try-leading, multi-platform Master Fader™ app. Create stunning multi-track recordings and get playback for a virtual soundcheck via 2083B I/O. Loaded with channel/output DSP pl2083 4 FX processors, DL32S and DL16S give you the mixing power you need for your best mix ever.